Babies can now hold their head steady independently , and they enjoy lying on their tummy for longer periods at a time - by now they can raise their head and chest while leaning on the hands. Babies now try to roll to the side - an effective way to learn how to shift weight from side to side, which makes for excellent practice for rolling over. Pre-crawling movements also appear now: babies move from side to side, and inch forward or backward. 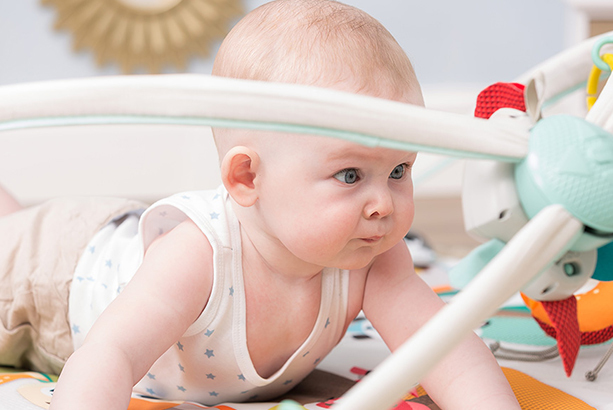 Babies come up with some incredibly creative ways to be mobile: be it using the head as a pivot to move the rest of the body, or utilizing the tummy as an axis on which to turn from side to side - these are all effective training methods for moving forward. By the age of 6 months, when placed in the sitting position, babies may be able to remain seated without falling to the side. This means that the muscles and spinal column are developing and becoming stronger. However, avoid placing babies in the sitting position for too long so as not to exert excess pressure on the spinal column. It is best to allow babies to move to a sitting position on their own - they will do it once the spinal column is mature enough to bear the weight. While on his back, if pulled forward by his hands to a sitting position, he can now hold his head steady. In the prone position, he can now raise his head to a 45° angle and later on lean on his arms and lift his chest. Begins rolling over in one direction and around 5 months sometimes manages to roll over in both directions. After 5 months, the beginning stages of crawling appear. 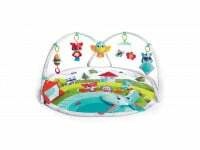 These include rocking and pivoting, rolling, rolling over or even backward movement. After 5 months, may sit unsupported when placed in the sitting position. 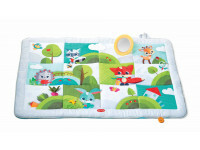 While awake, lay your baby on a firm, soft surface, so lifting his head and chest is easier. Dress your baby in soft, comfortable, unrestrictive clothing so it is easier to roll over and move. 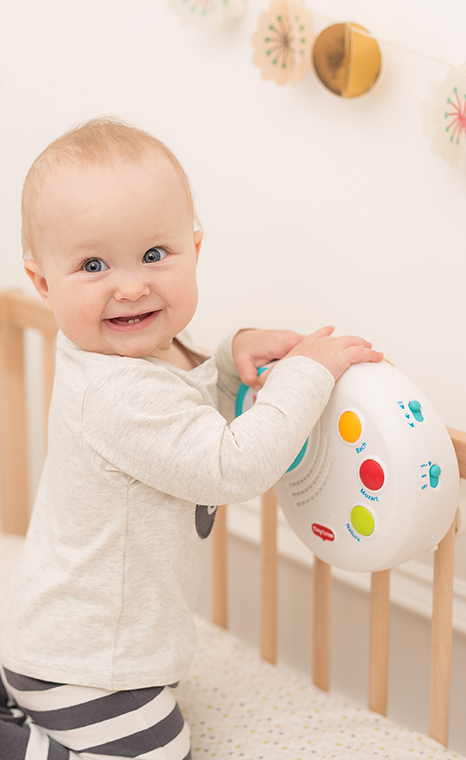 Place stimulating toys in front of your baby, or to the side, to encourage him to extend his arms to reach them and move toward them. Very slowly roll your baby over from his stomach to back, and vice versa, so he can feel the motions his body makes when rolling over. From the third month, place a mirror in front of your baby while he is in the prone position to encourage him to raise his head and look at his reflection.